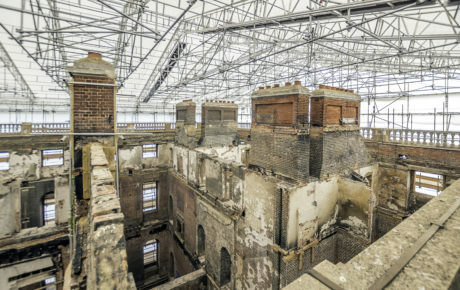 On April 29th 2015 the National Trust’s 18th Century Palladian mansion in Surrey, Clandon Park, was devastated by fire. 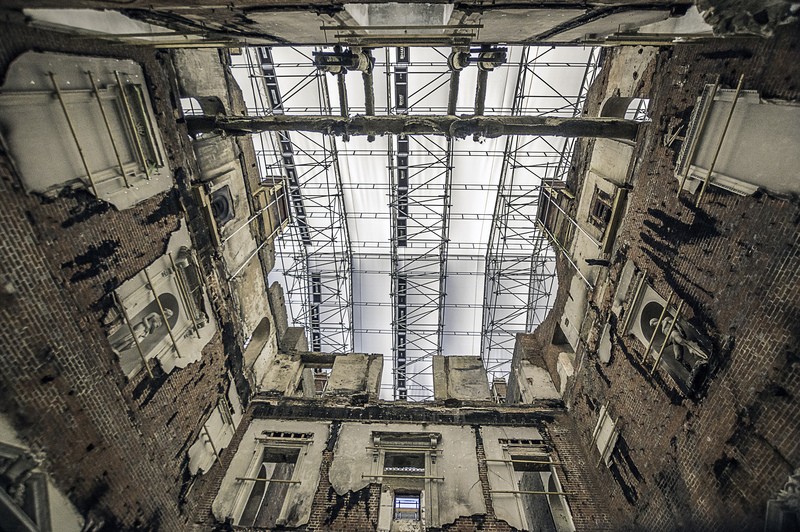 The blaze collapsed the roof and floors and most of the interior was lost. 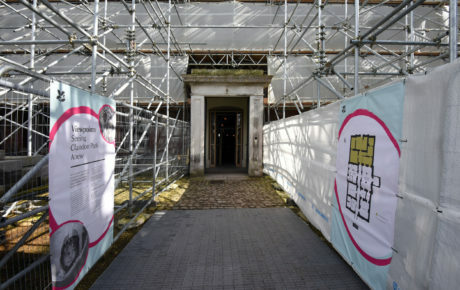 The external brick envelope survived however along with 600 items of Clandon Park’s most significant collection items. 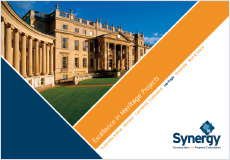 Synergy were appointed by the National Trust to assist them in a unique salvage and enabling project comprising a complex programme of works including the procurement of hazardous material surveys and removal costs to undertake the salvage works as well as to open up the house to the public. 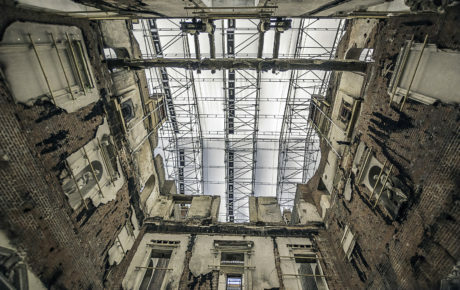 Cocooned by a complete scaffold envelope surrounding the house, specialist site workers, archaeologists, conservators and salvage teams painstakingly sifted through the debris to discover some remarkable finds including objects that survived the fire miraculously preserved ranging from a porcelain duck through to one of the most important items in the collection, the state bed. 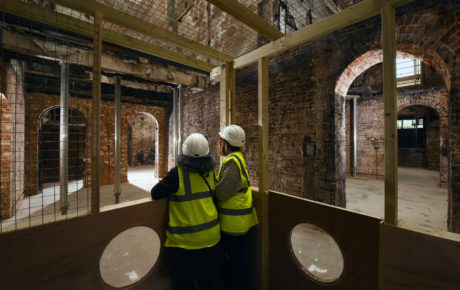 A challenging project with the debris field reaching up to 1.5 metres high in some areas, the result of four floors crashing down into this one section of the house. 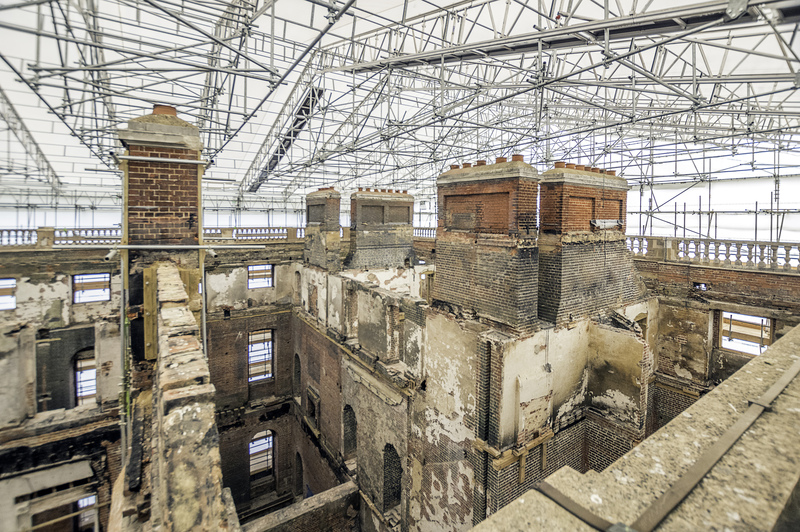 In addition, the project required innovative solutions to challenges including how to remove high-level pieces of debris without slowing progress, achieved through the procurement of several large mobile cranes and specialist abseiling teams. 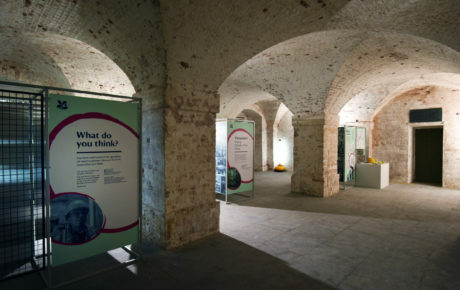 The enabling works also included the creation of a site compound for the National Trust and their archaeological team. 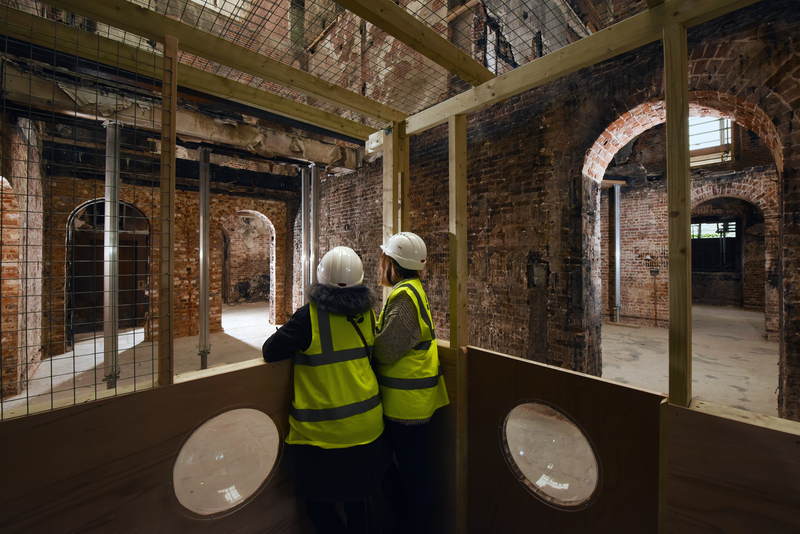 Opening the site to the public was an important part of this project. 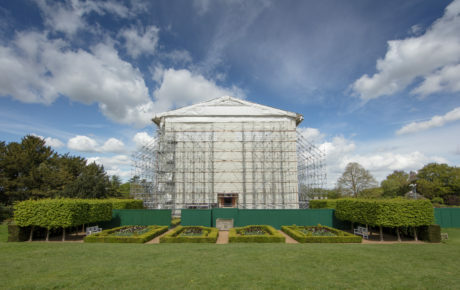 The gardens opened again in the autumn of 2015 and in 2016, a walkway was formed into the saloon giving visitors a unique view of the incredible structure. 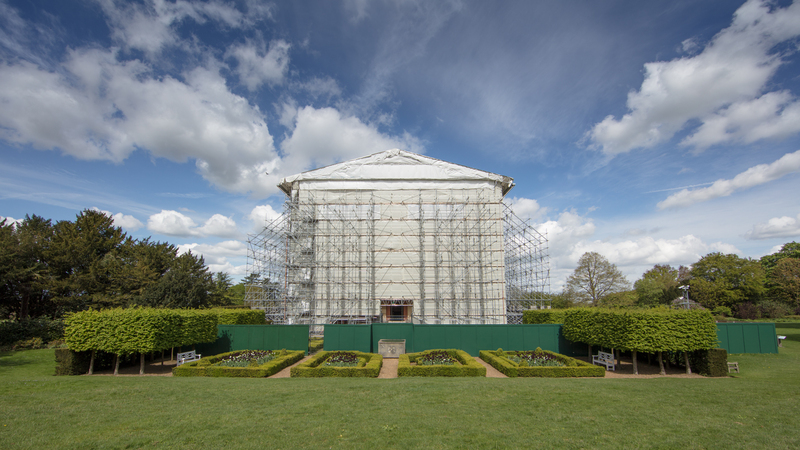 One year later, the walkway was extended to include the room most associated with Clandon, the Marble Hall. 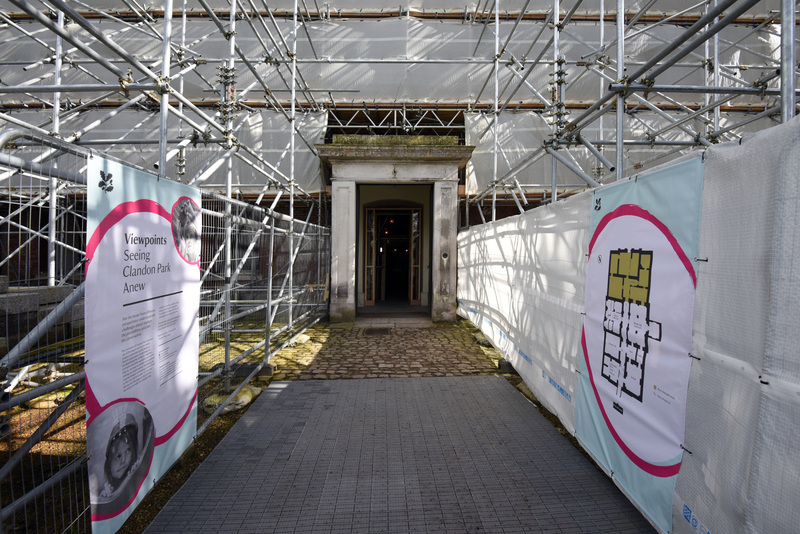 In 2018, public access was extended beyond that of the Marble Hall, Saloon and State Bedroom to include the basement spaces with displays, lighting and vertical views from the floor to the scaffolding roof.